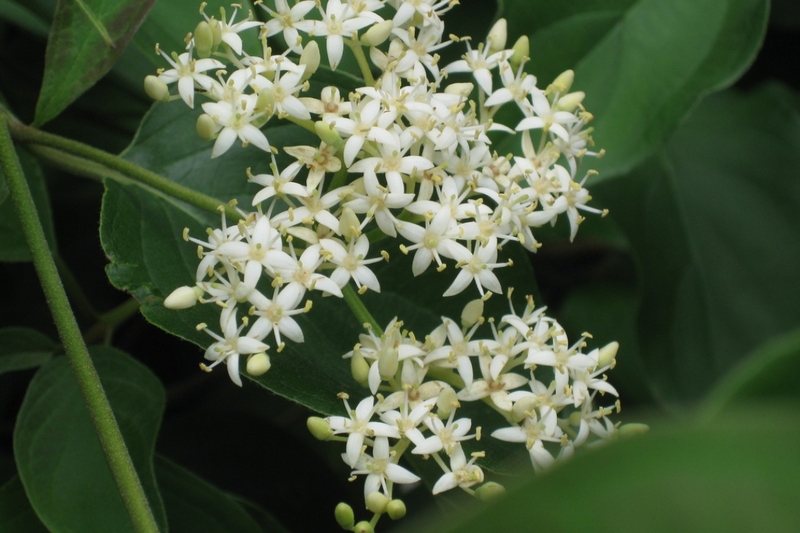 Gray dogwood (Cornus racemosa): growing, planting, caring. An American dogwood - known for its gray bark. 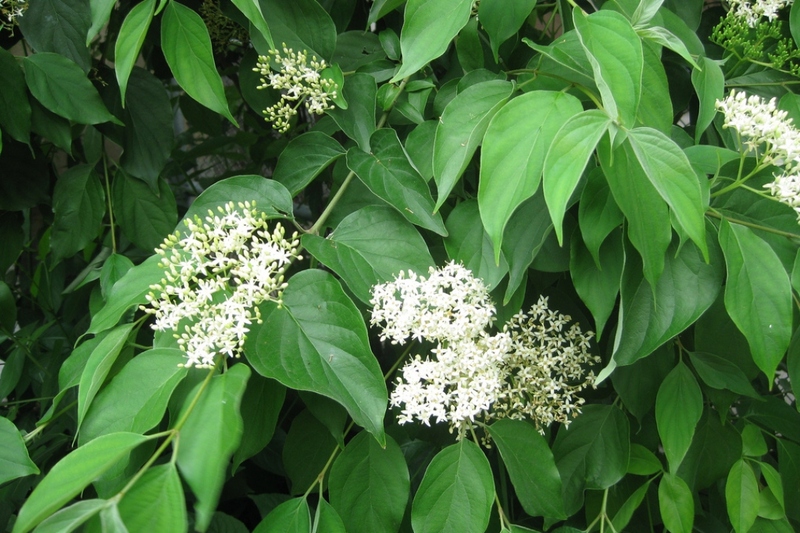 Cornus racemosa - the northern swamp dogwood - is a species in the family Cornaceae native to southeastern Canada and the northeastern United States. 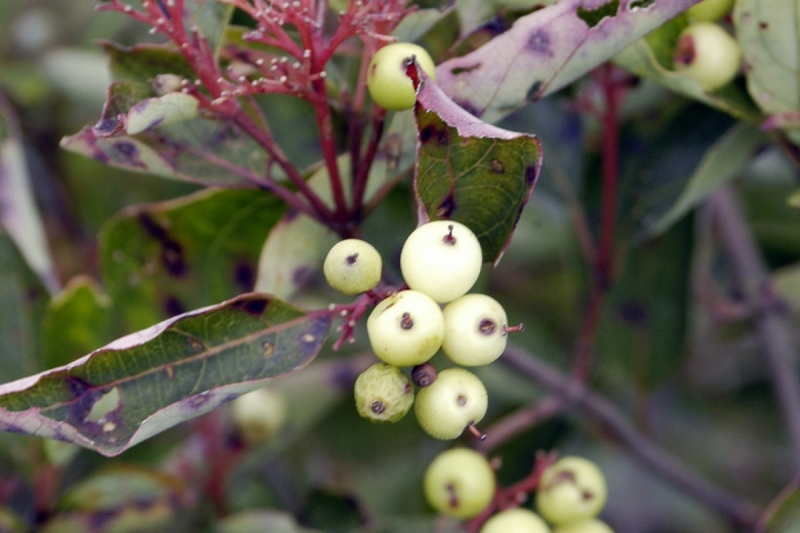 It is a shrub growing to 1.2 to 3 m (4 to 10 ft) high, with gray bark and white flowers - and leaves turning from red-green to a gray-green in the summer, and then to purple in autumn.